To support workplaces in the transition to Careerforce, the HET employees have joined the ITO. Jennie Cooper , Helen Wilton, Lucille Ogston and Zara Fraser work with Careerforce’s Andrew Saunders on ensuring the process is as simple and seamless as possible. Workplace training in the aged care sector has just experienced a major win. The merger of the Health Ed Trust (HET) and Careerforce came into effect at the beginning of May and is a win for the industry as a whole. HET chairman John Ryder says “the merger is good for the industry and Health Ed Trust, as Careerforce has the resources and will take education in the aged care sector to a higher level”. For organisations and trainees working with HET, it’s “business as usual” says Careerforce chief executive, Ray Lind. Careerforce, the Industry Training Organisation (ITO) for the health and wellbeing sectors has the supports, expertise in workforce development, research and evaluation and the strong corporate services that will further enhance the training experience for employers and trainees. “During May, we will be in touch with all HET employers to talk with them about a transition into the Careerforce system. In the meantime nothing else changes, other than credit reporting being done through Careerforce,” Lind says. He reiterates that it is business as usual – trainees and employers can remain using the resources and the HET staff, who have also made the transition to Careerforce, remain in their Christchurch office for the month of May. The quickly implemented merger came about after NZQA found HET to be non-compliant in some of its administrative practices and advised them to cease enrolling students or receiving assessments. “Careerforce was dedicated to ensuring all trainees and employers with HET were not penalised because of this and that all workplace training programmes can continue uninterrupted,” Lind adds. As the government appointed standard setting body in the aged care sector, Careerforce offers a comprehensive stable of competency assessments and relevant workplace training supports. “We know that competence equals productivity and enhanced outcomes. The true value of workplace training is that it is carried out under job conditions, to job standards and to ensure the transfer of learning occurs to meet all job requirements,” Lind explains. In 2015, Careerforce supported more than 16,000 trainees from over 1,100 workplaces, an increase of over 20% from 2014. The ITO continues to grow and exceed all targets set by the Tertiary Education Commission. One of the key advantages of the merger will be easy access by all employers to the Careerforce team of mobile workplace advisors who work across all areas of New Zealand. 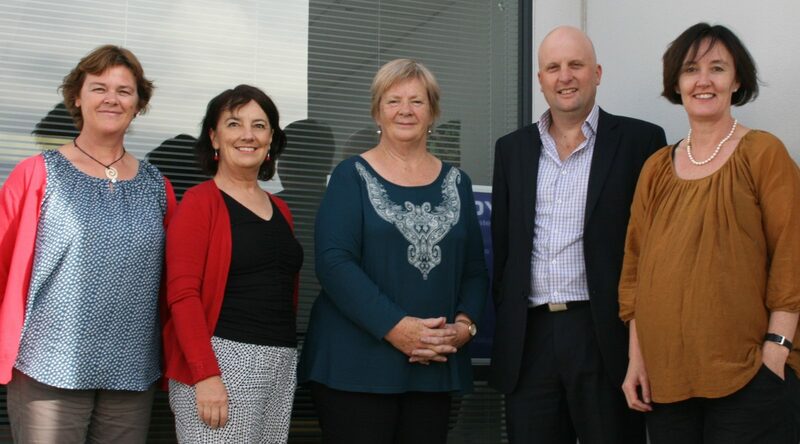 This team is supported by another 80 office-based staff in Christchurch, Wellington and Auckland. “We are a person-centred organisation and work closely with all employers to ensure they are maximising their training opportunities now, and into the future,” Lind adds. The Health Ed Trust will continue to exist, but will be deregistered as a Private Training Establishment. All training resources and systems (including the ACE programmes) will be supported by Careerforce.